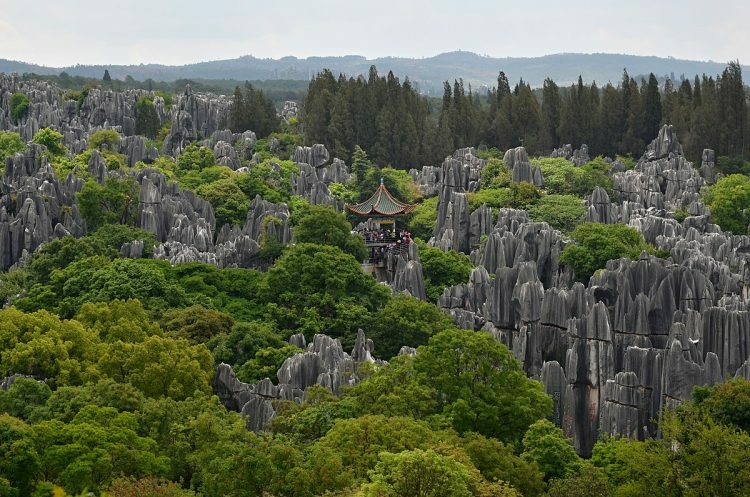 Because as an old Chinese saying goes ” If you have visited Kunming without seeing the Stone Forest, you have wasted your time” and I couldn’t agree more. 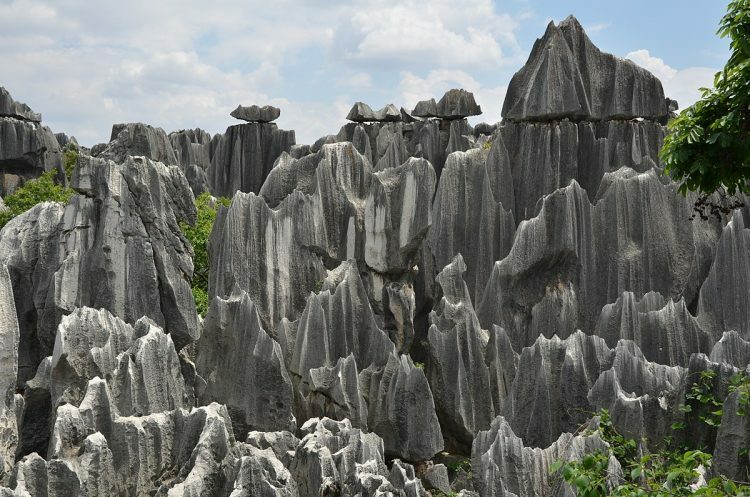 Shilin is an intricate krafts formation in the south-west of China, one of Yunnan province’s most popular tourist attraction. The tall rocks, that seem to be bursting out of the ground, reach heights of 30 meters and their numbers really create the illusion that you’re looking at a petrified forest. There are many local legends inspired by this incredible place, but the most famous one says the gods created this huge stone labyrinth for lovers to get lost in and be together. 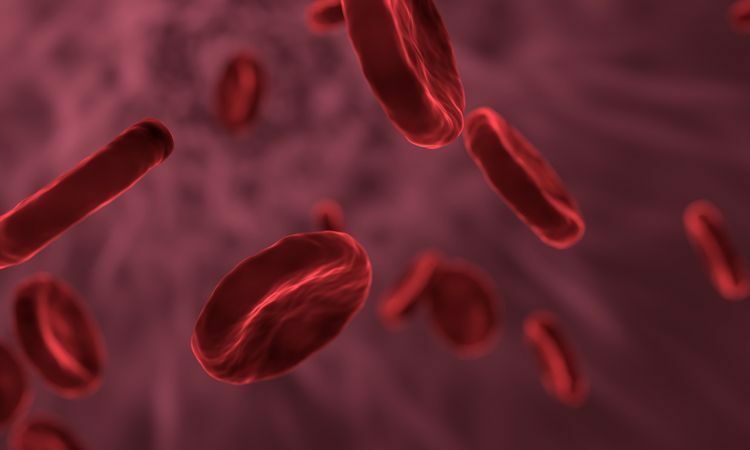 Scientists say this 2,670 square kilometers area used to be a sea and when the waters pulled back some 270 million years ago, these formation emerged and the surrounding elements eroded.